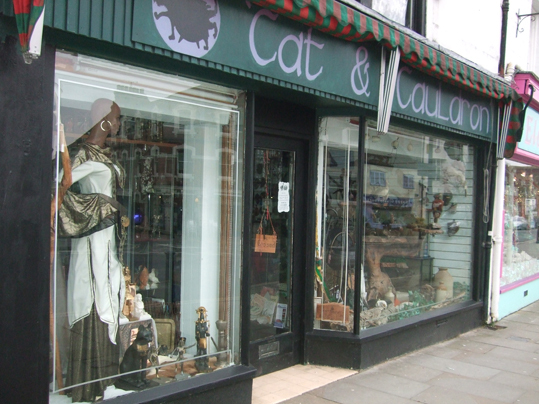 Earlier this month, I spent an afternoon shopping in Glastonbury – my favourite place to shop for witchy stuff. I feel a *little* guilty saying that, because I live in London, which has occult shops that are just as fine as any in Glastonbury. However, they aren’t all on the same high street between guest houses catering for witches, a Goddess temple and vegetarian cafes, and just around the corner from two sacred wells and a sacred tor. 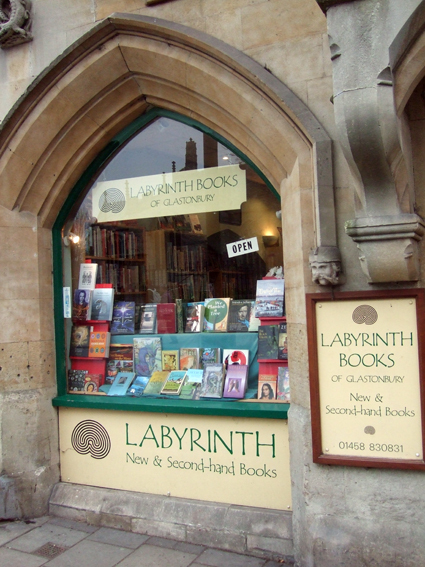 I went to Glastonbury primarily because it was pretty much on my way to Bristol, which was where Assap’s conference on faeries was taking place, but also because I wanted to start doing research for my next book. It was a slightly strange feeling, because almost exactly a year previously I had been in Glastonbury researching for my book Pagan Portals - Candle Magic. I bought several rare and out of print witchcraft books and also chatted to shop owners about my project. This time, Pagan Portals - Candle Magic has just been published and I was chatting to bookshop owners about how it was selling. 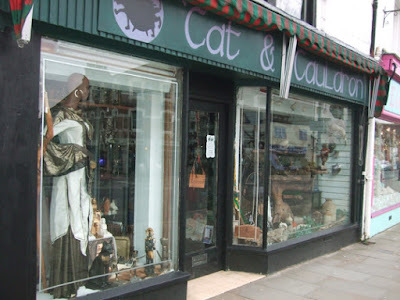 Trevor Jones, owner of one of Glastonbury’s oldest witchcraft shops, the Cat and Cauldron, said he was currently reading my book and that it “wasn’t too shabby” – which I took as a pretty good review from a man who must have read almost every magic book there is. 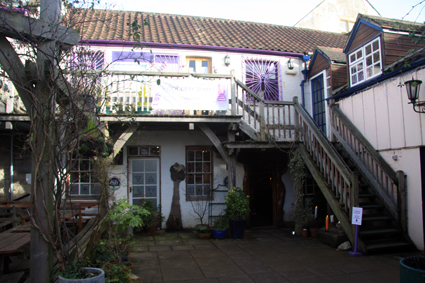 Whenever I am in Glastonbury I love to pop in to the Goddess temple, in the Court Yard just off the High Street. Sitting there quietly in contemplation for a few minutes is an essential part of the Glastonbury experience even if I don’t have time to take part in a ceremony there. Underneath the Goddess temple is Star Child, which sells the most amazing incense and oil mixtures. 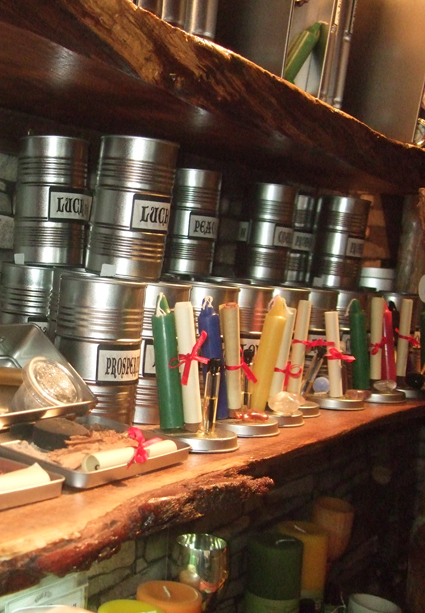 Even though I am capable of making my own incense, my attempts never seem to match those from Star Child, so I always stock up when I am there. Just up the road is Labyrinth Books - another shop I love to browse in and usually find a few tomes to spend my money on. 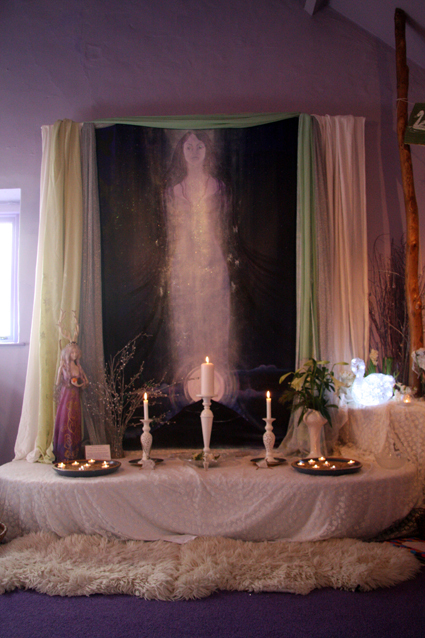 I was chatting to a lovely woman who works there and mentioned that I’m giving candle magic workshops at Treadwell’s in London. She said that she would get in touch with me about the possibility of my giving a talk about candle magic at Labyrinth sometime in the future. That would be really exciting and I hope it happens. Another shop that seemed interested in inviting me to give a talk some time was Woods Witch One-Stop-Shop. This is a new shop that opened last summer and which sells lovely locally produced handmade candles as well as other tools of the Craft. I came away from Glastonbury with a shopping bag full of books, incense and other witchy paraphernalia – and I am really hoping I will be back there soon, perhaps to give a talk or two. I was very happy with my purchases and am enjoying doing research for my next book. I’m not ready to reveal what it is going to be about just yet. Perhaps I’ll do that when I next give a talk. As you have been in the area , here is a strange tale from near to Glastonbury. It was good indeed to see you at Cat & Cauldron, and that was meant as a compliment - it reads very well and is easy to follow, which makes it valuable for beginner and seasoned spellcaster alike. We have yet to publish a full review but will do so after the very busy Easter break! I'll look forward to reading it!